STS Auto Sales & Repair is your friendly neighborhood family owned business based in West Columbia, South Carolina. Our experienced auto mechanics are very professional, and are ready to serve each an every customer with the necessary car repair and service. We take pride in treating all our customers with the utmost respect, and we provide honest, quality service with each visit. Not only are we an auto repair shop, we’re also in the used auto sales business. You can browse our entire used auto sales inventory online, or at our physical location in West Columbia, SC. We sell good quality used cars at an affordable price. So if you’re looking for a good used car, or if you need repairs done on your car, visit us today, we’ve got just what you need! Good mechanics. Professional staff. Stop by and guve them a try. Small job or big job, they can handle it. Been doing business with them for over 3 years. Browse our auto sales inventory of used cars, SUVs and trucks to see what we have available on our car lot. You can browse online or come in to STS Auto Sales and Repair to see what used vehicles are available. Browse our inventory of available used cars for sale and ride off today! Whether you have good credit or bad credit we work with everyone. Fill out our online auto sales financing application and get approved! We offer a full range of automotive services for cars of all makes and models. 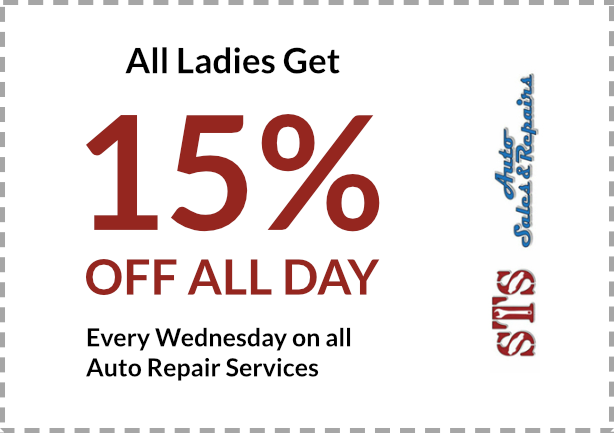 So whether you need routine car maintenance, or if your car is having mechanical issues; visit our auto repair shop during our regular hours, no appointment needed! 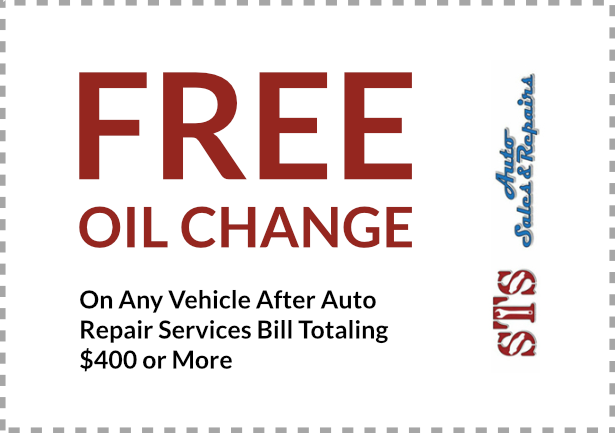 Take advantage of our auto repair specials, coupons and deals when you come into our auto shop for your next service! Ask a question, make a comment, or send us an inquiry about our auto sales and / or our auto repair services.